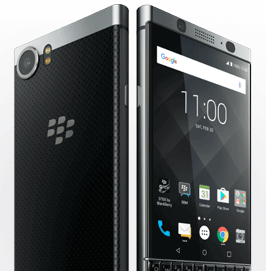 Choose from our best BlackBerry mobile phone deals and cheap pay monthly offers today and get your new phone delivered tomorrow. BlackBerry has been making great mobile phones for years, catered to security-minded, productivity-driven business users. With physical (and touch) QWERTY keyboards, messaging apps like BBM and communication tools like BlackBerry Hub, a BlackBerry mobile really is the best option for the fast-paced, executive who’s often on-the-go. Buy your new BlackBerry on contract, SIM free or finance.